In fictional sequences inserted into this documentary about economic, social and political perspectives on possible upcoming developments, the filmmakers portray a utopian future as a foreign territory. Six public figures from various cultural and social circles reflect on the future as a matter of time, people and the world. 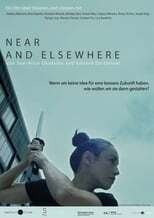 Near and Elsewhere is directed by Sue-Alice Okukubo, Eduard Zorzenoni and was released on TBA. Director Sue-Alice Okukubo, Eduard Zorzenoni's Documentary movie Near and Elsewhere is produced by Mediart01 Films & Simonsays Pictures & was released 2019-03-21.